Looking for great ideas for Father’s Day gifts under $20? Here are some ideas for you! 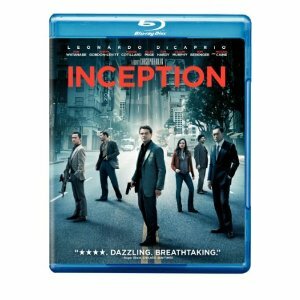 Get Inception (Two-Disc Edition) [Blu-ray] for a bargain $10.08. This very successful movie stars Leonardo DiCaprio in a sci-fi thriller. Includes Blu-ray and DVD of the very popular movie Tron Legacy. For the Dad who loves the bbq! Unique laser-cut design. Heavy-duty stainless steel. Hard maple handles with durable brass rivets. Convenient bottle opener. Best selling epic fantasy book. Cute idea for a First Father’s Day gift! Great value at just $19.99 Charcoal Companion 4-Piece Perfect Chef Barbecue Tool Set with Black Handles. Just $9.99 for this mug which is perfect for Father’s Day. 50% Off @ Gap, Baby Gap & Gap Kids! Cuisinart SmartPower 15-Piece Blending/Chopping System just $37 Shipped AR!